The Oregon Trail is a computer game originally developed by Don Rawitsch, Bill Heinemann, and Paul Dillenberger in 1971 and produced by MECC in 1974. The original game was designed to teach school children about the realities of 19th century pioneer life on the Oregon Trail. The player assumes the role of a wagon leader guiding his party of settlers from Independence, Missouri, to Oregon's Willamette Valley over the Oregon Trail via a Conestoga wagon in 1848. 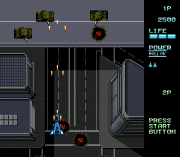 The game has been released in many editions since the original release by various developers and publishers who have acquired rights to the game. Hunting An important aspect of the game was the ability to hunt. Using guns and bullets purchased over the course of the game, players select the hunt option and hunt wild animals to add to their food reserves. In the original version, there were no graphics and players were timed on how fast they could type "BANG," "WHAM," or "POW," with misspelled words resulting in a failed hunt. 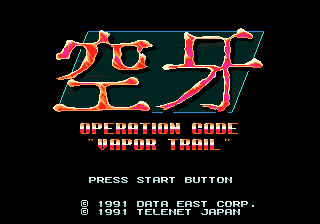 Later, players would control a little man who was capable of pointing a rifle in eight directions and firing single shots at animals. 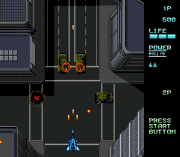 In later versions, players hunted with a crosshair controlled by the mouse. Bison were the slowest moving targets and yielded the most food, while rabbits and squirrels were fast and offered very small amounts of food. Deer (eastern section) and elk (western section) were in the middle in terms of speed, size, and food yield; bear were between bison and deer in all three properties. While the amount of wild game shot during a hunting excursion is limited by only the player's supply of bullets, the maximum amount that can be carried back to the wagon is 100 pounds in early versions of the game. In later versions, as long as there were at least two living members of the wagon party, 200 pounds could be carried back to the wagon. It was extremely common for players to kill several thousand pounds worth of animals, only to waste the large majority of it. Some would consider this a realistic representation of the wild west. Also in the later version, you could hunt in different environments. For example, hunting during winter would result in graphics showing grass covered in snow. Death Throughout the course of the game, members of your party could fall ill and die from a variety of causes, such as measles, snakebite, dysentery, typhoid, cholera, and exhaustion. People could also die from drowning or a broken leg. Your oxen were also subject to illness and death. When one of your party members dies, a funeral is briefly held, at which you may write a suitable tombstone epitaph, and after which you continue down the trail. Scoring At the conclusion of the journey, points are awarded according to a formula weighted by the profession chosen (points are doubled for a carpenter and tripled for a farmer), the number and health of surviving family members, remaining possessions, and cash on hand.